Taipei, Nov. 8 (CNA) Taiwan shares moved higher but remained below the 10,000-point mark Thursday following a rally on Wall Street overnight. 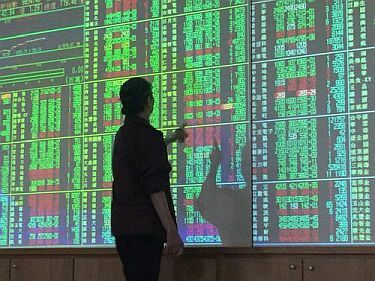 The weighted index on the Taiwan Stock Exchange (TWSE), or Taiex, ended up 36.96 points, or 0.37 percent, at 9,945.31 after moving between 9,938.55 and 10,014.42. Turnover totaled NT$118.44 billion (US$3.86 billion). The market opened up 50.12 points at 9,958.47 in a knee-jerk reaction to strong gains posted by U.S. markets following the midterm elections, where the Dow Jones Industrial Average closed up 2.13 percent, the S&P 500 index ended up 2.12 percent and the tech-heavy Nasdaq index ended up 2.64 percent Wednesday. The Taiex at one point breached 10,000 points as investors moved in to pick up shares in the bellwether electronics sector, pushing the electronics sub-index up by over 1 percent at one stage, but selling pressure emerged, paring away much of their early gains.